Large table base with a Silver column and four leg base designed for use with table tops up to 1000mm round or square. Available from stock for a free and fast delivery. Heavy duty table base with a wide spread four foot base. 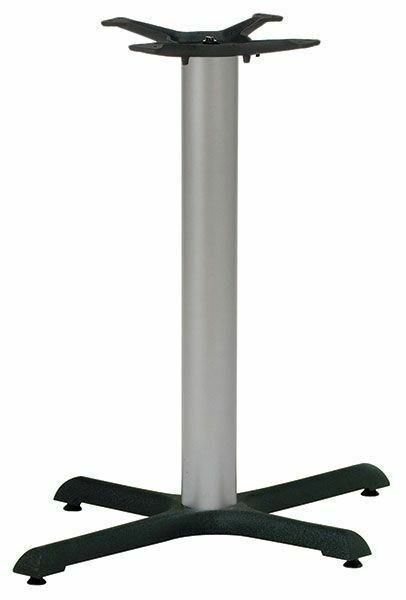 Features also include a fantastic silver weighted column and adjustable feet. This is a stock item.